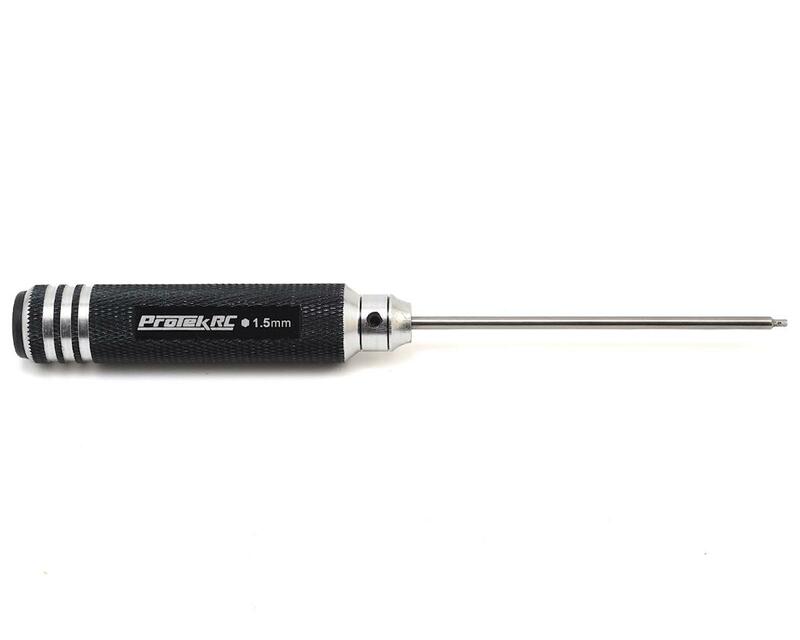 This is the ProTek R/C "TruTorque" 1.5mm Metric Hex Driver. No one wants to spend money on low quality tools. Tools are an investment that should not be taken lightly and are one of the few items that should outlast the life of the model you are working on...and remain with you for years after. With so many choices available, the decision can be overwhelming. So ProTek R/C has stepped up again, expanding its product line with a complete range of affordable, high quality tools that help to make the decision a little easier. 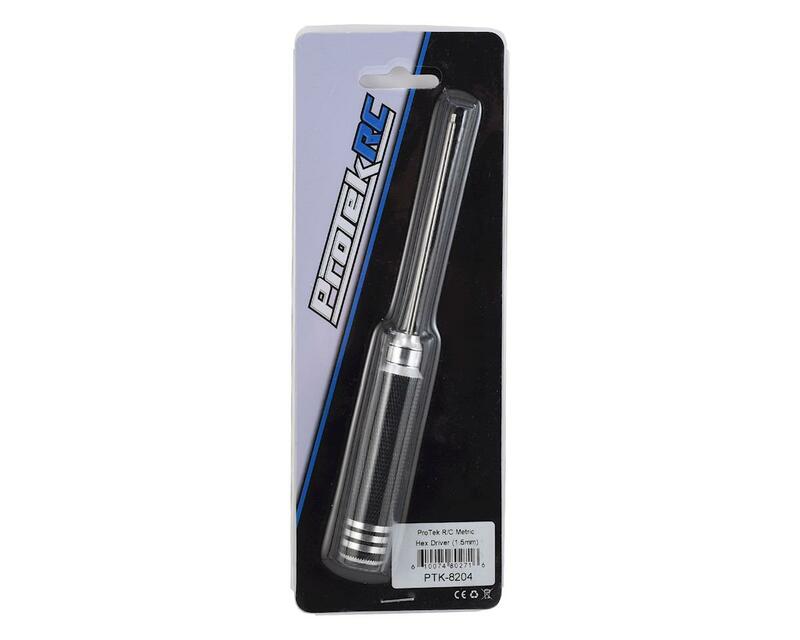 ProTek R/C "TruTorque" hex drivers feature lightweight machined aluminum handles that have been knurled to provide a high leverage, non slip surface that will be comfortable to use during long wrenching sessions. The tool size is etched into the handle for easy identification and a black rubber cap is fitted to the end to increase comfort during use. The precision HSS steel tips provide an exceptional fit with the fastener, and feature a bronze colored finish that not only looks good, but also helps to protect the steel from corrosion. A set screw is used to secure the tip and a full range of replacement tips are available, so they are easily replaced if you should ever break one. Yup it's true, looks great but I'm questioning the quality of this driver. I used it twice and the tip broke off in the screw! I expected more from a $11.00 driver. I emailed A Main Hobbies customer service and within a day they ordered me a new one. Bravo Customer Service Dept! This is why I keep coming back (great customer support)! I'm hoping #2 will perform better than the 1st, if not I'm going to Hudy. So far so good. Broke the tip on my higher price name brand hex driver and was just looking for anything that worked. Wrench hasn't rounded out any hex heads as of yet. Will buy other Protek tools in the future to complete the set. Have to say the looks of the tools are very nice, the finish as well but after not even a month of use I have already broke this tip putting a screw into plastic. I'm going to call and have it warrantied but so far not that impressed with the tools just yet. Time will tell.